Made from water repellent dura tec fabric. Reinforced corners and scratch resistant fabric. Book opening tri-fold design with universal clamping system to secure hangers. Two hooks for use over a door or closet. Two corner pockets for belts, ties and small items. Shoe pockets, and suiter clip. 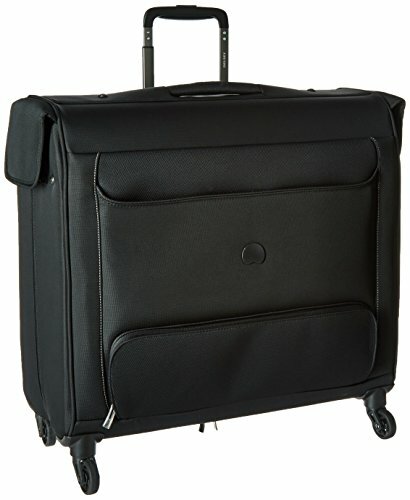 Two exterior pockets include an easy-access bottom pocket convenient for toiletries, shoes, umbrella and chargers. Spinner wheels assure smooth maneuverability. If you have any questions about this product by DELSEY Paris, contact us by completing and submitting the form below. If you are looking for a specif part number, please include it with your message.